Foot and ankle surgery can be a scary, stressful, and overwhelming experience. With different treatment and surgery options available, there are many ways to recover from foot and ankle surgery. If the right steps are taken and you listen to your doctor, you will be able to recover quickly and effectively from any foot or ankle surgery. usually caused by working out or simply stepping on your foot wrong, causing your ankle to twist. Always rest, ice, and elevate your sprains. If you continue to feel pain, you should be examined for proper treatment. The Achilles tendon is the largest tendon in the body and when it is injured, can cause severe pain and inflammation. This is usually caused by overuse, wearing high heels, or not stretching properly before working out. This injury could worsen over time, so it is important to receive treatment as soon as possible. A Jones fracture will cause pain in the middle and side of your foot and is usually caused by stress on the feet. It could feel like a sprain but may need surgery, if severe enough. A Jones fracture can cause pain as well as swelling and bruising. These injuries are very common among dancers and athletes. A stiff big toe can be very painful. Usually caused by degenerative arthritis, this is when your big toe stiffens and becomes hard to bend. Luckily, surgery is not always needed. The cause of this injury is usually unknown. Surgery is not always your only treatment option. At the Foot and Ankle Center of Arizona, regenerative medicine is also offered to help you find relief from foot and ankle pain. However, if you are looking for other options besides nonsurgical procedures, there are plenty of different surgery options out there. Ankle fractures are common, as well as ankle fracture surgery. This straightforward procedure will help repair your ankle after a serious injury, especially one affecting the fibula or tibia. The process takes only a few weeks and uses a stable internal fixation that is screwed into the broken bone to promote healing. It is advised to avoid placing any weight on your injured foot for 3 to 10 weeks and you will need to wear a cast or boot at some point. Physical therapy may also be needed depending on the severity of the fracture. If you are suffering from a serious ankle injury, an arthroscopic ankle cartilage repair may be needed. This minimally invasive procedure helps repair any damaged cartilage that is causing pain in the ankle joint. This procedure reduces pain, while increasing your joint mobility, leading to a faster recovery than compared to traditional surgery options. Following this procedure, you may be able to stand with the use of crutches. 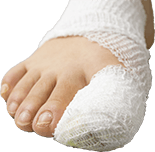 You will be instructed to stay off of your feet for several weeks and wear a cast or splint, in most cases. Most Jones fractures can be treated without surgery, but some may require open reduction and internal fixation if severe enough. Under anesthesia, your surgeon will insert one or more screws to stabilize the bone. The healing process is expected to take anywhere from 6 to 8 weeks. It is recommended that you keep off of your foot for 7 to 14 days directly after surgery. After six weeks in a splint, a walking brace can be used until fully healed. After about 4 months, most patients are able to return to full activity. Flat feet have been known to cause pain. This is known as Pes Planus or simply, fallen arches. This condition is known to develop at an early age, but can be the source of foot pain later on. 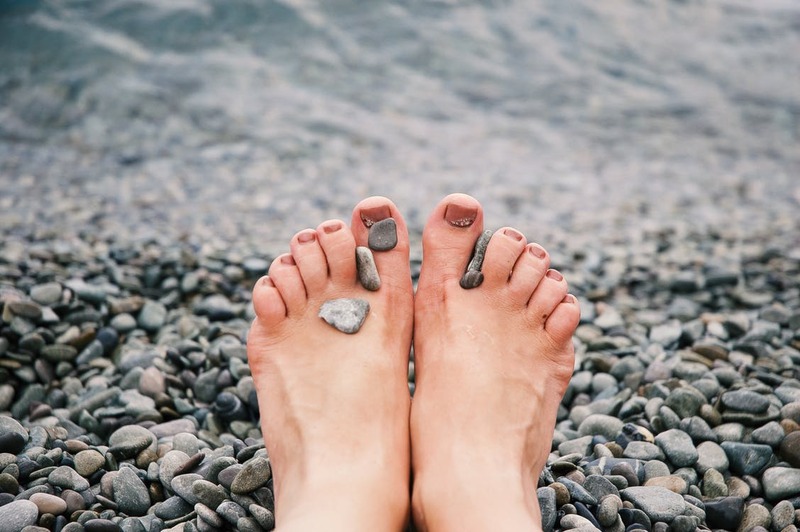 A surgical procedure known as medial calcaneal sliding osteotomy can help modify the shape of your foot to correct flat feet by adding an arch. 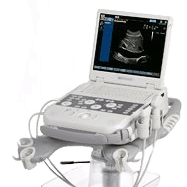 Sometimes, flat fleet can even cause ankle and knee pain. A medial calcaneal sliding osteotomy can modify an arch in your foot to reduce this pain. After surgery, your incision will be bandaged and you will need to follow your doctor’s post operative instructions for a smooth recovery. A cast is usually required for about 6 weeks and after, a walking boot is needed for 2 to 4 weeks. When it comes to recovering from any foot or ankle treatment or surgery, always follow your doctor’s instructions very carefully. Remember, there is no need to rush into anything as you could cause even more damage. Each surgery and patient is different, so each recovery is going to vary. The best way to ensure a safe and fast recovery is to always speak with your doctor and take their advice. At the Foot and Ankle Center of Arizona, we use only the finest equipment and techniques. Our staff has the skills to help you find you relief from foot ankle pain, all while delivering stellar customer service. 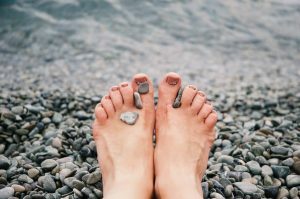 The Foot and Ankle Center of Arizona is home to efficient and friendly service, offering a variety of treatment options for a number of different foot and ankle issues, including surgical options and regenerative medicine.